Express your Love up in the Skies with Fly Cape Town Paragliding! When thinking of the time and place where you would express your feelings to the love of your life, it is invariably a good idea to think of an experience which is truly exotic, that in turn makes things that much more memorable. After all, dont you want to have something special in your mind that you can share with your grandchildren decades later? In that regard, proposing while paragliding comes across as a truly novel experience; one which can hardly be described in words. Yet, if you are looking for cues (or maybe a dash of inspiration!) 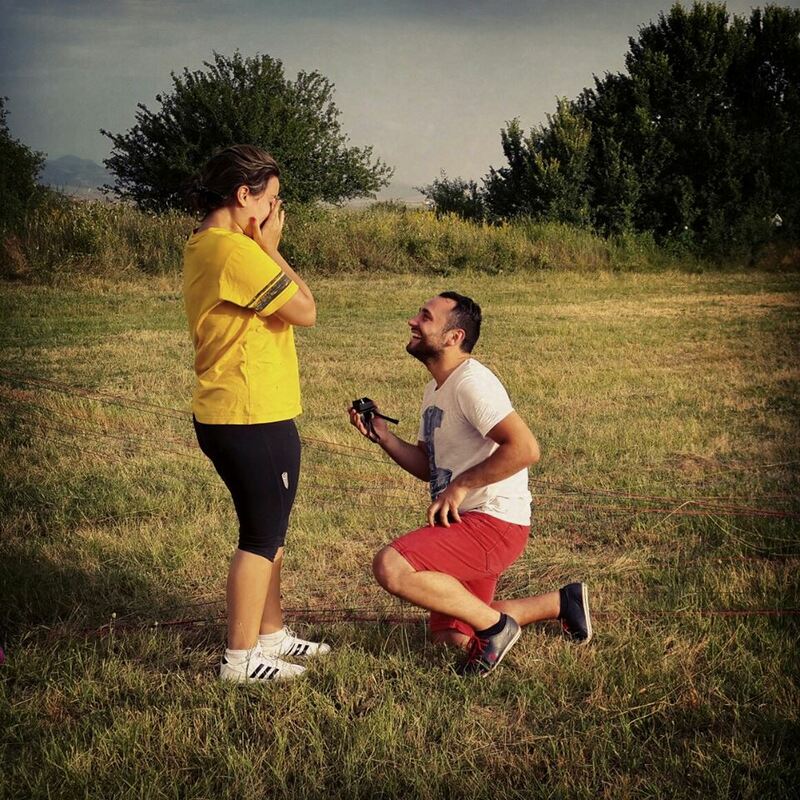 you can look at this post Paragliding Proposal where Dado proposed to Beta in Macedonia. Well, if he can, so can you! And by the way, nothing is stopping you from doing so even as a lady  gone are the days when it is the only the guy who is expected to propose to the lady! The point we are making is that paragliding is very clearly an experience unlike any other. With us here at Fly Cape Town Paragliding, you have an added assurance of dealing with only the very best in the industry, a fact that is only reinforced by the large number of highly qualified and trained pilots that we have in our repertoire. Together, they can take you on an absolutely stunning paragliding Cape Town experience where you will find yourself having a sense of oneness with yourself and your immediate surroundings to an extent that expressing your feelings will become that much easier for you. Moreover, also look at things from the point of view of your prospective partner  the one you intend to propose to. Given the circumstances under which you will be proposing, you are pretty much assured of an acceptance. After all, besides your own merits as a partner, the whole setup would be so positively overwhelming that your prospect would have little choice other than to offer up their consent! It is these reasons which have already seen so many couples taking to the skies with us here at Fly Cape Town Paragliding. Besides proposing, relatively more mundane instances like newlyweds taking a paragliding session with us as part of their honeymoon, lovers letting their love blossom up above in the skies, have been some of the many instances that we have experienced over the years. So if you are one of those whom Cupid has been calling loud and clear, why not let us assist you in spreading the message of love, with our eclectic paragliding rides?